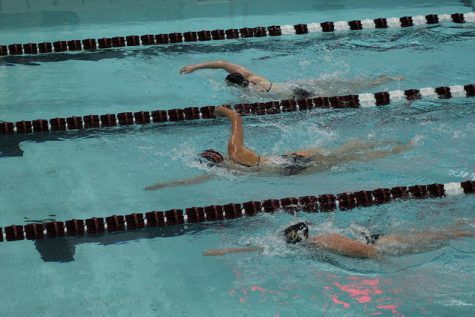 Last Friday night, the Minutemen swimming team sped past Bryant University with a victory score of 153-88. 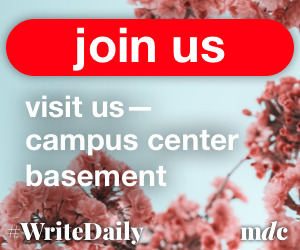 In a one-sided matchup, UMass won a total of 12 of the 13 events last week. The men look to bring this success and intensity into next week when they head to Vermont for the Upper Valley invitational this weekend. The freshmen on the team look to keep their success running this weekend in Vermont as they have all season. Erik Rennspiess, Jon Conway and Michael Glenn all had first place finishes last weekend and look to duplicate their performance on Friday. Glenn was named the Atlantic 10 Rookie of the Week for the Minutemen. This is the third time that he has received the award this season, which is the most of any freshmen in the conference. 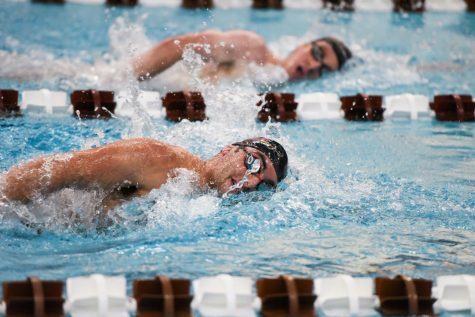 Leading the freshmen are the strong underclassmen who have propelled the Minutemen swimming and diving team throughout the season. 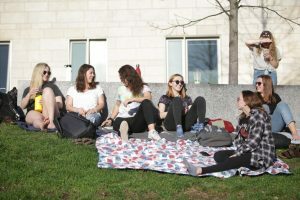 The balance and poise of the upperclassmen is a central piece which the team looks to keep as the Atlantic 10 Champions loom. 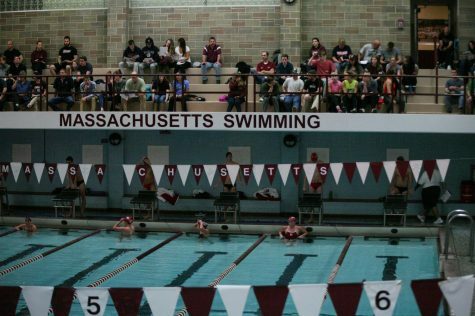 The UMass women’s swimming and diving team was handed a tough loss last weekend in Rhode Island in a 123.5-119.5 finish. With The women’s team is looking to counter its tough loss as it travel to Upper Valley. To aid them in the quest for redemption, the women’s team is looking for its young prodigy, freshman Zoe Judd, to succeed. Judd finished first in two events for the team leaving the Minutewomen just short of victory. As the team heads north to Vermont this weekend, they look to go on a run before the A-10 Championships, which only a month away, and take that momentum into Buffalo where the events will be held. In being a prodigy, Judd has become a leader on the team. 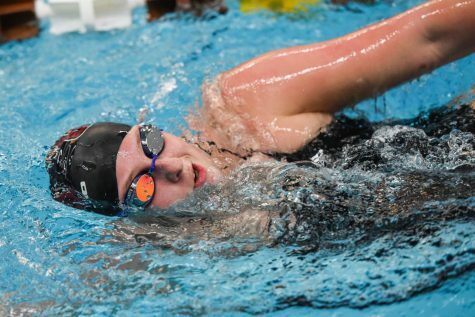 She named the UMass athlete of the week already in early December and has been one of the Miinutewomen’s leading swimmers this year. 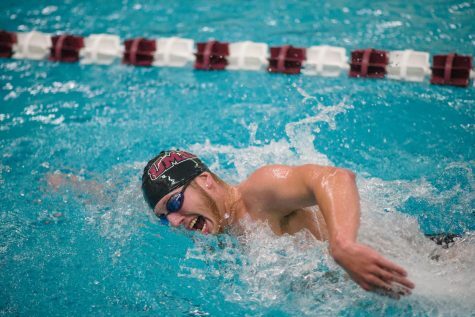 UMass coach Bob Newcombe’s young team wants to finish the season strong as all of the swimmers develop in their early years of college. With just three seniors to say goodbye to at the end of this season, underclassmen such as Judd will look to learn how to lead the team to victory.